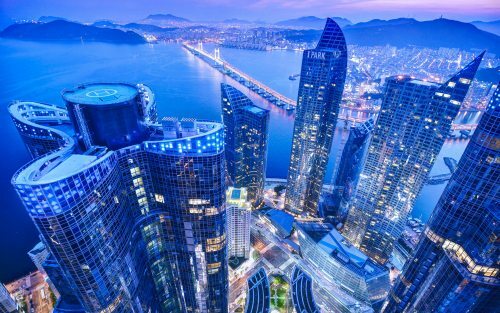 Delta and Korean Air are showing flights from Vancouver to Busan, South Korea for $621 CAD roundtrip including taxes. 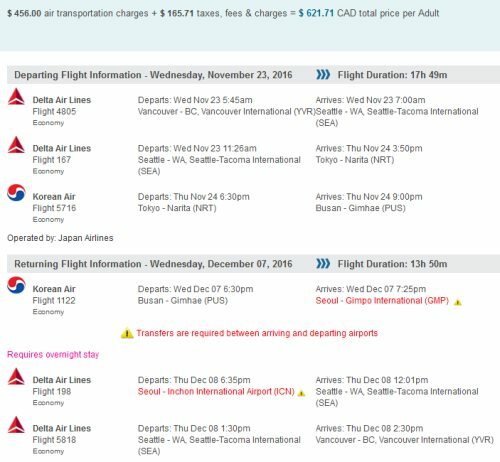 This is 47% below the typical best roundtrip price from Vancouver to Busan . Busan (also known as Pusan) is a large port city in South Korea, known for its beaches, hot springs, nature reserves, mountains and temples. I've never been, but it sounds like an interesting place! Update: Vancouver to Seoul, South Korea is also available for $587 CAD roundtrip including taxes! You can also try starting with these direct search links on ITravel2000. For Seoul, be sure to use ICN airport, and not GMP airport, when you search. IMPORTANT: Some flights may have an overnight layover in Seoul, and require a change of airport. Watch out for the fact that Flight Network does not seem to include the duration of the overnight stay when displaying the total 'Flight Duration'. ITravel2000 displays it correctly. vancouver, yvr, flight deals, asia, east asia, seoul, south korea, icn, busan, pus and pusan.